A masterful intersection of Bible Studies, Gender Studies, and Rabbinic law, Diane Kriger explores the laws pertaining to female slaves in Jewish law. 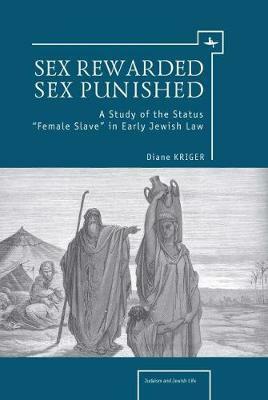 Comparing Biblical strictures with later Rabbinic interpretations as well as contemporary Greco-Roman and Babylonian codes of law, Kriger establishes a framework whereby a woman's sexual identity also indicates her legal status. With sensitivity to the nuances in both ancient laws and ancient languages, Kriger adds greatly to our understanding of gender, slave status, and the matrilineal principle of descent in the Ancient Near East. A lawyer by training, Diane Kriger (Ph.D. University of Toronto, 2001) had a strong interest in the classics, ancient languages and Talmudic studies. Dr. Kriger wrote or contributed to several articles on slavery and the status of women in ancient Judaism and in the surrounding societies. In 1997-1998, she co-founded and served as associate editor of Women in Judaism: A Multidisciplinary Journal, an academic journal published electronically. Dr. Kriger edited texts and articles on biblical studies, and - most recently - she edited a new Siddur for Holy Blossom Temple in Toronto. Dr. Kriger died in December 2008.